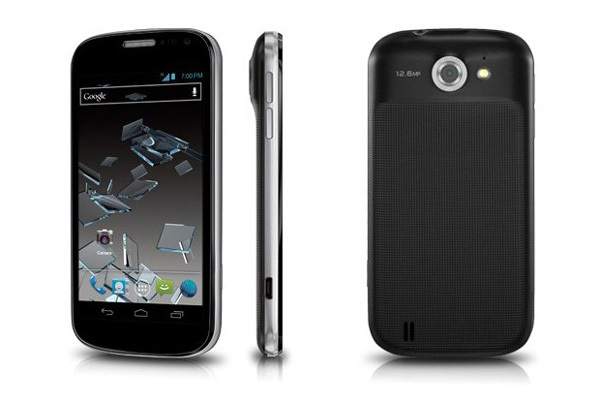 ZTE Flash Android smartphone is one of the late 2012 releases and sold very nicely during the Christmas 2012. The crowning feature of ZTE Flash is a large 4.5-inch screen with a resolution of 1280x720. Better still, ZTE Flash has a display boasting a pixels per inch (ppi) rating of 326ppi, superior to the Galaxy S III (306ppi) and the HTC One X (312ppi) and equal with the expensive iPhone 4S (326ppi). Furthermore, ZTE Flash supports wide range of videos like MP4, H.264, H.263, WMV, Divx, Xvid, etc. ZTE Flash displays a very high level of detail, significantly bettering many rivals in its price class. Though ZTE Flash supports wider range of video formats and incudes such competitive display, it still seem to be inadequate when it comes to HD video enjoyment. Here is powerful but free ZTE Flash video converter that can get the any videos into ZTE Flash supported formats, help you watch home-made video or online movie on ZTE Flash. 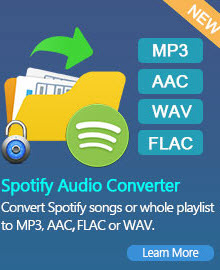 ZTE Flash Video Converter - Powerful, Versatile, Easy and Free! 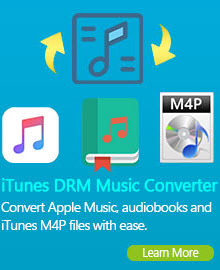 Any Video Converter Free includes ZTE Flash video output profile which allows you to convert HD movie video into lossless video that best fit your ZTE Flash android phone. This ZTE Flash video converter supports High-definition video formats such as .vob, .mkv, .rmvb, .rm, .ts, mts, m2ts, .tod, .trp, .tp, etc (please refer to Any Video Converter Free 60+ supported video formats for details). You can enjoy HD video in full screen mode with best settings on ZTE Flash with a few clicks. See follow screenshot then you will know how easy to convert video for your ZTE Flash. Watching HD movie video on ZTE Flash can't be more easier. As for watching online movie, according to ZTE Flash specs, there is already a built-in YouTube online service in this android phone. But If you need to watching online movie from more online video platforms, this ZTE Flash video converter can also work as a online movie downloader which supports downloading video from 30+ online video platform such as nicovideo, myvideo, vevo, veoh, dailymotion, break, rutube, facebook, etc. With ZTE Flash video convert, you can download and watch online movie on ZTE Flash at ease. Want to turn your ZTE Flash android phone into portable music device? The versatile ZTE Flash video converter is more than a video converter and video downloader. 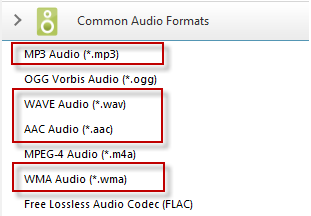 In fact, it can also be a ZTE Flash audio extractor that extract audio from DVD movies, online video and home video and convert to ZTE Flash supported audio formats like MP3, eAAC+, WMA, WAV . 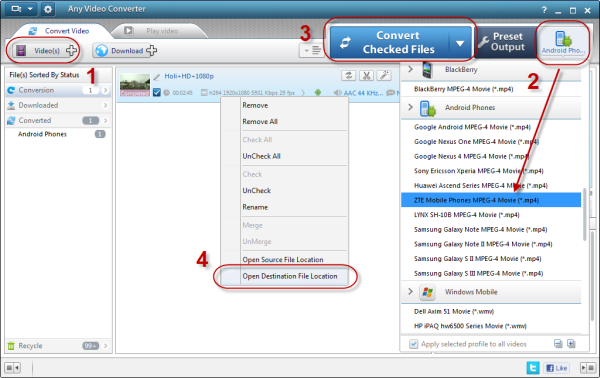 Download Any Video Converter Free to bring your ZTE Flash Android phone to its full potential!